Define the activities you want to measure. This may be the result of an analysis of your sales process to see where you can improve. Maybe your best sales reps are those that incorporate a specific activity during their first meeting, such as asking the customer to describe their own goals for the business. Determining which behavior to measure is the most critical step. Once you have identified those behaviors, break it down into the specific actions your sales reps need to take in order to fulfill your expectations. Once you have listed out the actions you expect, start tracking them. Match each of your sales reps with an appropriate senior staff member to go over their progress on a regular basis. This may be a more seasoned sales rep. It could be that you set up teams of sales reps to hold one another accountable and report back to management on their progress. The sales rep should meet with the person to whom they are accountable once each week. These meetings should be centered on the behaviors that are being tracked. However, these meetings can be a rich resource for both parties as they share what is working and behaviors that seem to lead to a dead end. One of the benefits of having a sales rep meet with a more senior sales rep or other senior staff is that sales reports and other data will be looked at often, not just at the end of the quarter when a sales rep misses a target. 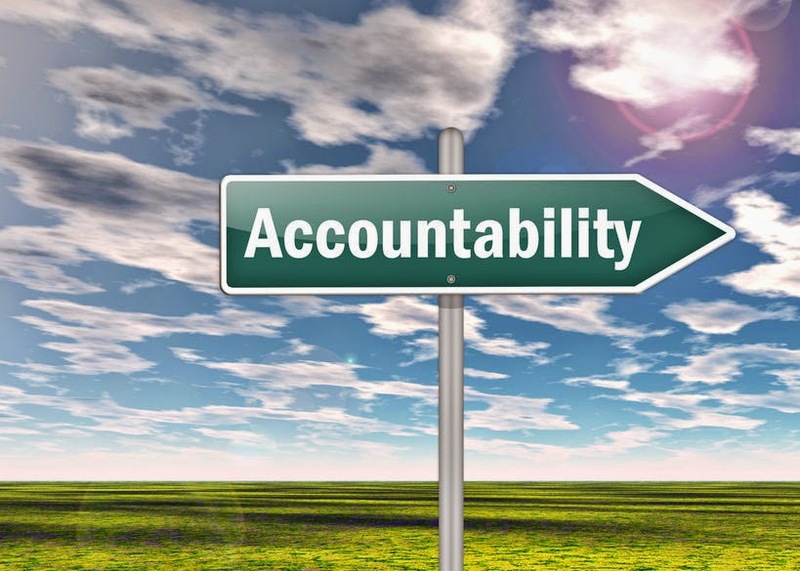 As a sales manager, you may be wondering where you will find the time to incorporate an accountability plan. However, this sales accountability plan should be designed as a support to make sure you hit your sales goals. It should not feel like another major project, but instead as a way to protect your goals and be sure that your team is on target. With the right customer relationship management (CRM) system, sales accountability should be a seamless process. The technology available now allows for your sales reps to enter information about a sales meeting immediately following a meeting while they are still in the field. Within 30 seconds, they can enter all of the critical information about their meeting and the sales manager can access the resulting sales report within 60 seconds of the data being entered. If you need help setting up a CRM system to support sales accountability, Front Row Solutions has the tools you need. We can help you track specific behaviors that lead to sales and grow your revenue.